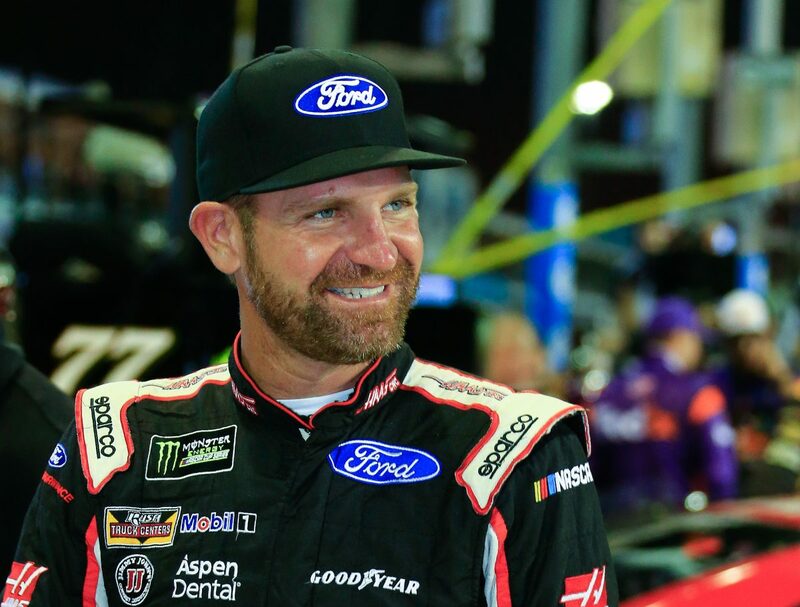 Clint Bowyer started 16th and finished 10th. He earned one race point. Told crew on the pace lap that he appreciated its hard work in 2017 and that he was proud to be on the team. Pitted during a lap-five caution and dropped to 20th. Bowyer used new and much faster tires to climb into 10th despite reporting his car was sliding sideways off the corners. Started 12th and finished 15th. Bowyer told his crew if it could tighten the car he would be able to go much faster. The adjustments plus the changing track conditions made the car harder to turn, slowing his progress. At lap 142, Bowyer put on used tires for the final 10-lap run, preferring to save new tires for later in the race. He dropped to 15th. Started 15th and finished 18th. Bowyer told his crew on the opening lap of the final stage that the car took off the best it had all race. Bowyer climbed as high as ninth with 45 laps remaining. A caution with 39 to go saw Bowyer pit from 10th for minor, front-end repairs after he said he hit a brake rotor on the track. Bowyer restarted the race in 10th with 34 laps to go, but handling issues kept him from climbing higher. Only 12 of the 39 drivers in the Ford Ecoboost 400 finished on the lead lap. Martin Truex Jr., won the Ford EcoBoost 400 to score his 15th career Monster Energy NASCAR Cup Series victory. It was his series-best eighth win of the season, but his first at Homestead. His margin of victory over second-place Kyle Busch was .681 of a second. In winning the Ford EcoBoost 400, Truex won the 2017 Monster Energy NASCAR Cup Series championship for the first time in his career, outdueling fellow Championship 4 contenders Kyle Busch, Harvick and Brad Keselowski. Truex is the 32nd different Cup Series champion. The 2018 season kicks off Feb. 10-18 with the traditional Speedweeks at Daytona (Fla.) International Speedway. The 60th Daytona 500, the first points-paying race of the season, is scheduled for Feb. 18 and will be broadcast live on FOX.